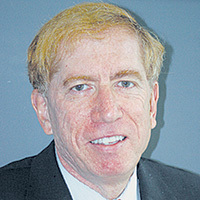 Dr. Steven Garner is a Fidelis Care provider who is affiliated with New York Methodist Hospital in Park Slope, Brooklyn. He also hosts Ask the Doctor on NET TV on Tuesdays at 8 p.m. on Time Warner Channel 97, Cablevision Channel 30 and Verizon FIOS on Demand. OBSERVING COLLEGE students and also talking with other college professors has called my attention to what I consider a serious problem. There seems to be a dramatic change in the reading habits of contemporary college students. I don’t know the cause. But I know I have to try to motivate students to read more. When people read serious literature, anything can happen. The Holy Spirit breathes where He will. Dear Dr. Garner, I am a loyal reader of your weekly column and I am writing because I have been experiencing a nagging pain on the left side of my stomach. Sometimes it gets so bad that it feels like a knife is sticking in me. Dear Dr. Garner, My brother was told he had melanoma last year. He was lucky to have found it on a routine physical and it had not spread. As a result, the whole family was very cautious about our sun exposure this summer. Is this necessary? Should we be taking special precautions? Dear Dr. Garner, My husband is a really tough guy. He had no problem with kidney stones and even has a Purple Heart from Korea. He finally has met his match in shingles. I have never seen in him so much pain. I am really annoyed that our doctor never told us that there was a vaccine to prevent this from happening. Dear Dr. Garner, I read your column each week and thoroughly enjoy it. I have a question that may be difficult to answer; however, I hope you will be able to provide some information on the subject. Dear Dr. Garner, I am 75 years old and in very good health. I have one problem with which I hope you can help me. For about the past six months, I have had a lot of trouble reading, particularly when the room is not well lit. I can’t drive the car at night as I get a bad glare from oncoming cars. It is beginning to affect my lifestyle. A friend thinks it could be cataracts. What do you think? Dear Dr. Garner, I have a 6-year-old son, who seems to come down with ear infections at least three times a year. Should children with ear infections be getting antibiotics? I remember getting pink liquid antibiotics every time I had an ear infection as a child. What is best? Dear Dr. Garner, I have colon cancer, which has spread to other parts of my body, and I am undergoing painful chemotherapy. The worst part is that this all could have been easier to treat had it been found much earlier. I am now 65, and while my husband went for a colonoscopy when he turned 50, I kept putting it off. Dear Dr. Garner, I’m about to have knee replacement surgery and I am quite scared. It’s my first-ever operation. I’m otherwise in good health, although slightly overweight. Do you have any advice to alleviate my fear?